As the holidays gear up and 2016 winds down, BBLADES Professional Propellers thanks you for making us your go–to source for all things props and other performance set–up needs. Nobody can match the experience and expertise of BBLADES when it comes to getting your prop right. Or left, if it’s counter–rotating. As our way of saying ‘thanks,’ we’re offering you a couple of ways to save some money this winter. You’ll find the details by scrolling down. If you’re snowed in or taking a break from the holiday madness, come visit BBLADES’ Facebook page where you can see the latest boating news from around the world, first–word on BBLADES specials and new products, great photography and some occasional silliness. All of us at BBLADES thanks you for your loyalty and wish you and those you love a most joyous, blessed and safe holiday season and a Happy, Prosperous New Year. You can give a great gift—maybe stuff your own stocking—with a BBLADES Gift Certificate and get an extra 10% on your money*. For example, buy a $500 BBLADES Gift Certificate between now and December 24, 2016 and pay only $450. By purchasing your gift card at BBLADES.COM, you can select amounts from $5 to $2500, as well as options for Lab Finishing or custom dollar amounts. *You’ll need to enter promo code BBGIFT16 at check–out to get the savings, and make sure you indicate on the order if you want the certificate shipped, and where. Gift Certificates make an excellent gift for the boater in your life for future discounted purchases. BBLADES Gift Certificates are good toward any BBLADES product or service and are good for one year, but are not valid with any other promotions or discounts. Winter is a great time to have your prop work done because of rapid turnaround times, and the opportunity to save some cash having the work done by the crew at BBLADES. 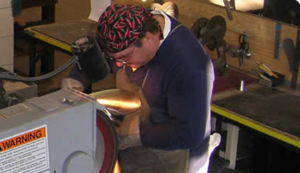 During January and February, BBLADES will inspect and repair your stainless steel wheel, perform lab finishing to maximize the performance of your prop, or customize any new propeller, for just $85 an hour. That’s an offer too good to pass up. No matter the brand, BBLADES can perform whatever propeller work you require. If you need to replace a prop, we offer full lines of propellers and competitive pricing on Mercury, Hering, Hydromotive, Acme, Turbo and BBLADES Propellers. Don’t wait in line next spring, start the new year with a freshened propeller, especially if you’re boat isn’t going to see water any time soon. The Winter Tune–Up Special ends February 28, 2017. This is also a good time to start planning to take advantage of BBLADES propeller testing program, as soon as the weather breaks. 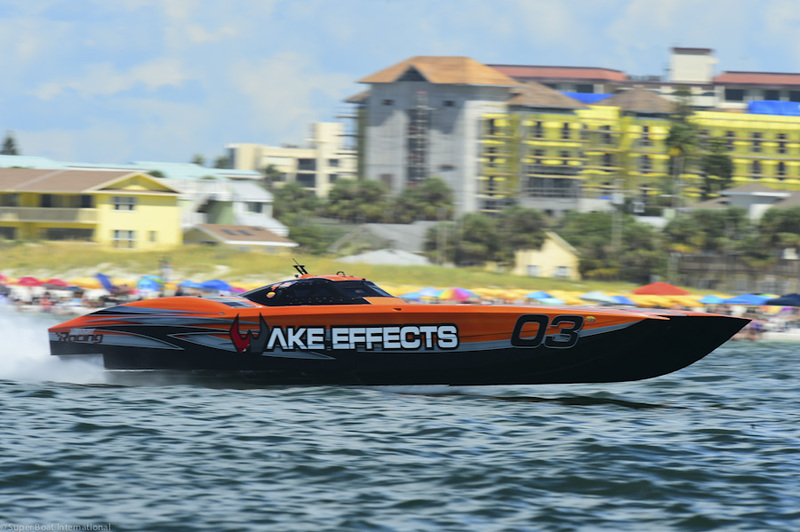 High–performance boating requires specialized equipment, like drives and propellers—for example—, and specialized equipment requires a specialized, experienced hand for service or customization. 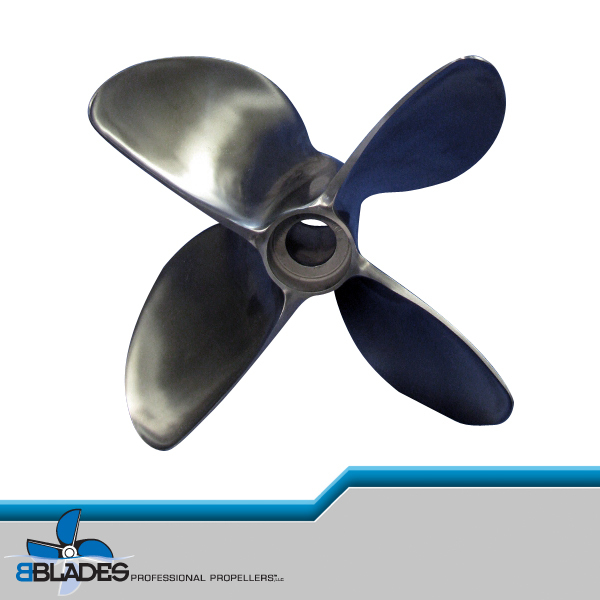 Boaters who know performance know they need not go anywhere but BBLADES Professional Propellers for their prop and drive customization needs. With nearly 90 years of combined experience, the heart of which was served in the prop shop at Mercury Racing, the BBLADES team offers more for your hard–earned money, including knowledge and service you just can’t get anywhere else. If you run cleaver–style VI Drive wheels (or III, IV, V, Arneson and IMCO SCX–4 Drives for that matter), your first call should be to BBLADES—you won’t need to call anywhere else. 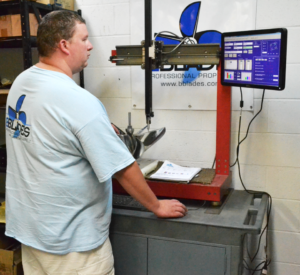 BBLADES works with each customer in great detail—at no charge—to assure the proper formula for a new lab–finish job, modifying for specialty applications or restoring a prop to factory specs. BBLADES expertise, experience, and proprietary templates allow for increased or decreased pitch, cupping, blade area adjustments, progression and blade thickness changes. No one can match what BBLADES brings to the table, but more importantly, no one can match what they bring to the water. Take advantage of BBLADES Winter Special (see above) through February 28 and save big on custom propeller work and Lab Finishing. 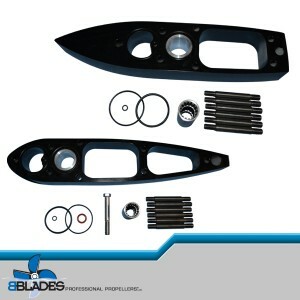 BBLADES Professional Propellers uses a variety of techniques for delivering propeller performance that are based on the customer’s specific needs. Among the many measuring devices—both manual and digital—that separate BBLADES from most other shops is the use of Magnetic Resonance Imaging. You may recognize it as MRI; it’s the same technology used at your medical facility, but on a much smaller, less expensive scale. The machine operates by examining the precise location of a vast number of data points in three dimensions. These measurements are in pitch, rake, diameter, cord length, pitch progression and blade area. By having this data stored and usable at all times, we are able to create graphs and charts of various locations and measurements of a propeller. The graphs are available for purchase by the customer, if they so desire. If you can wait until the early spring, BBLADES can offer you the only spacer plates for Bravo or Bravo SportMaster Drives available in quarter–inch increments. The tooling is in place and production is ready to get underway—very soon—if you need to lower your X–dimension, BBLADES Incremental Bravo & Bravo Sport Master Spacer Plates will offer you the most precise options, available from ¼” to 2” in quarter–inch steps and 2”–3” in ½” steps. No one else is offering this type of set up flexibility, and—of course—no one else offers the free consulting provided by BBLADES or the Bravo and Bravo SportMaster Spacer Plate Test Program. 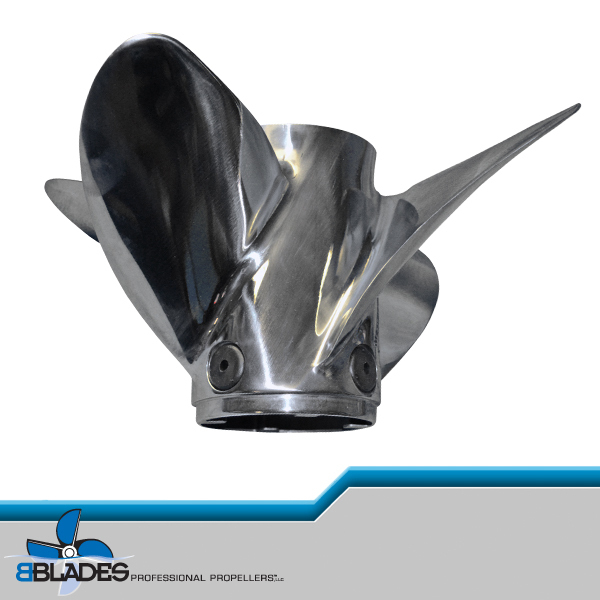 BBLADES Professional Propellers is a full–service propeller company offering consultation, inspection and repair of any aluminum or stainless steel propellers; “Lab–Finishing” or “Blueprinting” of stainless steel propellers; competitive pricing on new props from Mercury, Hering, Hydromotive and Turbo; and the most comprehensive propeller testing program in the marine industry.